HOTT3D will be on site providing exhibition solutions to clients before, during and after the show. So if you have any exhibition stand, display or graphic needs, please contact us. 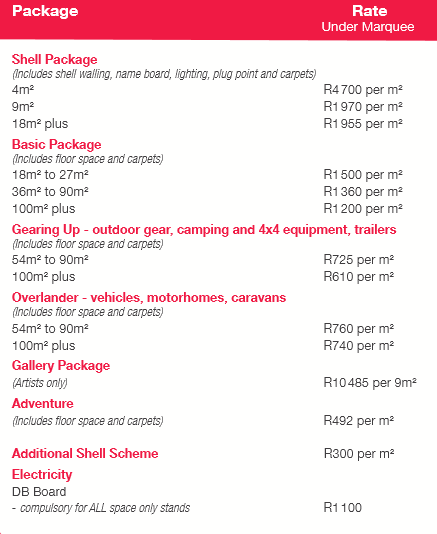 The Gauteng Getaway Show 2013 may be 6 months off but if you are exhibiting best to start planning early. The Getaway Show is showing great growth year on year, averaging about 15% and in 2013 the show will look to push far past its 2012 visitor count, of close to 24 000 visitors. They do advertise themselves as “Africa’s leading travel & outdoor show”, so if you fit into any tourism or outdoor market segment, best to book your floor space and start thinking about your exhibit. 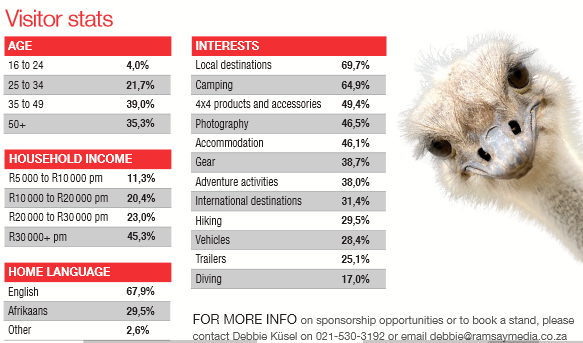 The show spends over R2.5 million on marketing and advertising efforts (which includes TV, Radio, Print, Press, Web & Outdoor), not to mention being an offshoot of South Africa’s leading outdoor publisher, Getaway magazine. HOTT3D design, manufacturer and build trade show booths and exhibition stands in South Africa. They provide their National and International clients with a well thought out platform to better market their brand and products at Trade Shows across South Africa. Exhibiting at African Utility Week 2015? Exhibiting at SAPOA Property Conference & Exhibition 2014?